On one of the first nice days we have had this year we set off for a 12 mile training ride that Mr Shergold had planned for us. This was going to be a combination of minor and major roads so we would have to be very careful and confident with what we do. 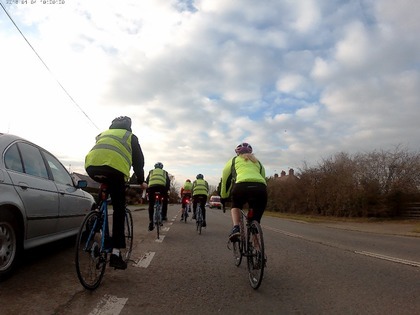 The training given to us at the PruGOals event in Bristol in combination with Mr Shergold taking us through a bike check and some basic road craft meant we were full of confidence as we headed out onto the streets surrounding our school. Although it was nearly rush hour and the traffic as getting busy we knew what we were supposed to do although I was really glad to have Miss Warburton riding next to me! 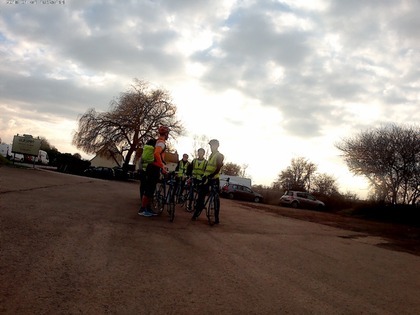 11 miles and one hill later we rolled back into school ready for the next challenge, everyone felt as if they could do more which is good considering the 48 miles we are going to have to ride in July!